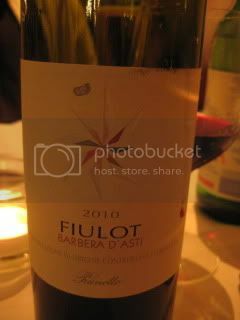 I woke up 3.00 am in the morning, then we left Barolo for Torino Airport at 4. We spent almost 2 weeks together in France and Italy, and it was time to say good-by to my travel buddies. Steve, Lynne & Traci were flying back to LA, and Lloyd was going down to Campagna for a few nights. 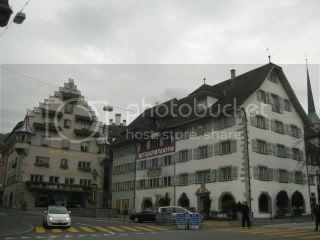 As for me, I took 6.45 am flight via Munich to Zurich, Switzerland. 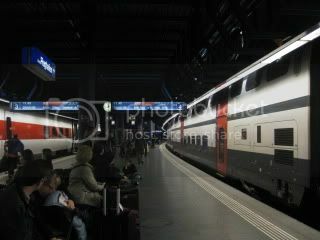 From Zurich Airport, I walked down to the train station. 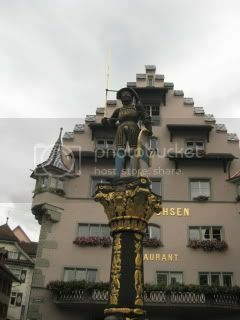 Then took a train to Zug, which was about 30 minutes from Zurich. The view from the train was so beautiful with nature that I didn't get bored during the ride at all. When I got off the train at Zug Station, my friend, Vlad, was waiting for me at the platform! 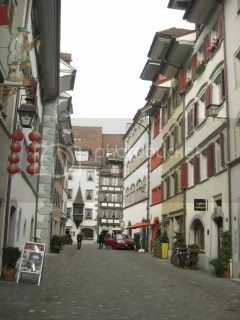 We took a short bus ride to the historic old Zug, and he took me to Leeanne's apartment. She lives in a beautiful "very Euro" style apartment in the center of the city, and she kindly let me stay there. But, it was so unfortunate that I couldn't meet her because she happened to be on a business trip to LA! After dropping of the luggage in the room, Vlad took me to his offices. I met another friend, Mike, there. It's been a few years since I saw him last time. It was great to see him, too! The building their offices are in was built in 15th century. It's so well-maintained, and inside are beautifully remodeled. 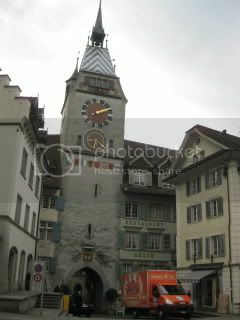 Zug is a beautiful historic town and it looks like a town from fairy tale book. 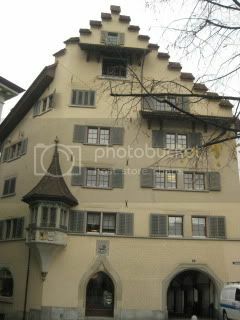 Buildings from Medieval eras are everywhere. In the afternoon, I took a walk around this small city. 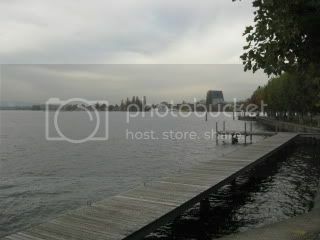 Walked by the lake, took a seat at a bench and snacked on some local cheeses which I picked up. Fantastic! 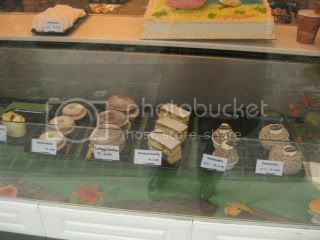 There are many restaurants and shops in the town also. In the evening, I got together with Vlad, Karin (his girlfriend), and Anna (his colleague) for dinner. They took me to a popular Italian restaurant by the lake...yes, Italian! 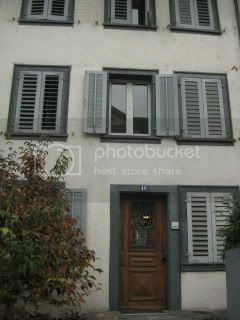 In fact, Italian is so popular in Zug that there are so many Italian restaurants and even Italian grocery and wine shops there. 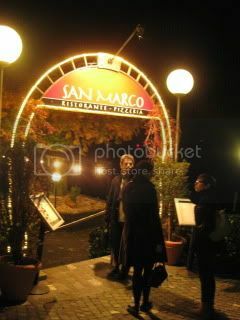 The restaurant is called San Marco (Fischmark 2/ Am See 6300 Zug). Since they were supposed to serve Ligurian Italian cuisine, it was still a good change from very rich Piemontese Italian cuisine I had every meal for the past 5 days. 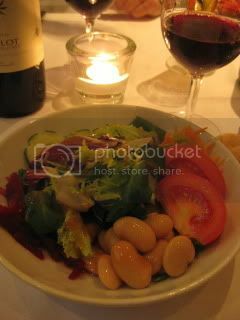 And, I was already happy with my Insalata Mista! Finally, I could eat the fresh quality vegetables. 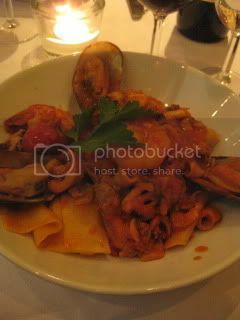 Then, I had Pappardelle alla Pescatora (seafood pasta). 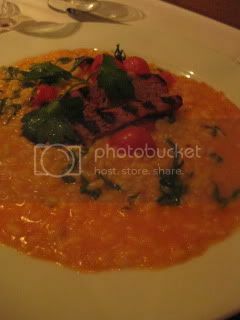 Anna was having risotto with grilled sausage on top...I wonder if it was a Swiss-style? It was such a fun night with wonderful friends. 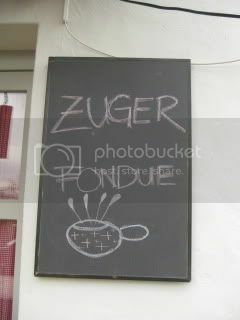 I was so happy that I came to Zug!